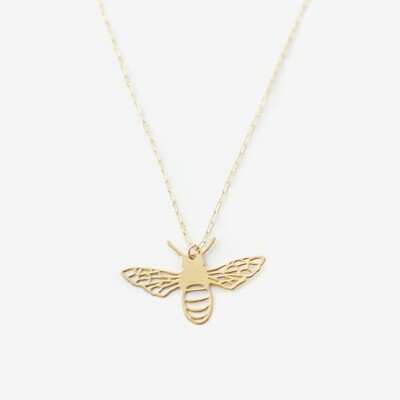 The bee is the ultimate symbol of family, of nurturing, and of community. A stainless steel cutout is dipped in 14k gold and paired with 14k goldfill chain. Larger bee is 1" long. Tiny bee is .5" long. Additional extensions can be added on to extend length of the chain. As seen on the cover of Pregnancy & Newborn Magazine, April 2014.